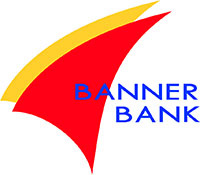 The Swinging in the Valley Country Dance Competition sponsored by Banner Bank and Hosted by Valleyfest is Saturday, September 21, 2019 at CenterPlace Regional Event Center from 8:00 p.m. to 11:00 p.m., with doors opening at 7:00 p.m. This Valleyfest event is brought to you by LiteFeet and Country Swing, LLC. There will be demonstrative dancing by advanced dancers, featuring all sorts of fun moves and aerial theatrics. This event is open to all levels of skill, so swing by and check it out! Children’s Division – Bring the Kids! They are FREE to enter and fun prizes. Country Swing, LLC: The Country Swingers are working to grow a culture of movement and engagement within our community that builds bonds of friendship, enthusiastic engagement and trust. Any violation of the following rules will result in disqualification from the competition. Contestants must have submitted their $30.00 (per couple) contest fee. This can be done online or at designated locations to be listed on the website. Behavior: Competitors should conduct themselves respectfully and display sportsmanship. Contestants displaying poor behavior may be disqualified from competition with no refund, or ejected from the event. The amateur division is an amateur, no count, partner dancing competition. All couples will be composed of two consistent partners, neither of which can have a history of professional dance instruction. A: The amateur division is an amateur, no count, partner dancing competition. All couples will be composed of two consistent partners, neither of which can have a history of professional dance instruction. B: The advanced division is a no count, partner dancing competition. All couples will be composed of two consistent partners. Contestants must wear the bib number that will be assigned to them at the time of sign in, or by the contest registration desk. There will be a $10 replacement charge. Any Aerials or lifts must be performed in a SAFE and CONTROLLED manner with COMPLETE SPATIAL AWARENESS. Any unsteady or uncontrolled lifts, or contact with another couple will result in immediate disqualification. Clothing: Costumes are allowed as long as they do not restrict movement or cause safety concerns, and matching clothing is encouraged. Contest Attendance. If you are not in the CenterPlace Regional Event Center ballroom when competition songs are called and have not arrived by the song start, you will be eliminated from competition. Be aware of scheduled contest times and be prepared to dance with your bib. The Schedule and instructions will be emailed out by September 15th. It is the contestant’s responsibility to make sure you check your email, and contact us if you have not received the details. Late entries will receive their schedule as soon as their information has been received.